I bought a Walkera Devo 10 tx bundled with a Master CP heli back in December. I used it with a Li-Fe 9.9V from HK, with no issues...Suddenly this last Saturday, after landing my 450 FBL, I switched it off, and on again to change the battery on my heli...the tx is dead...how could this happen? 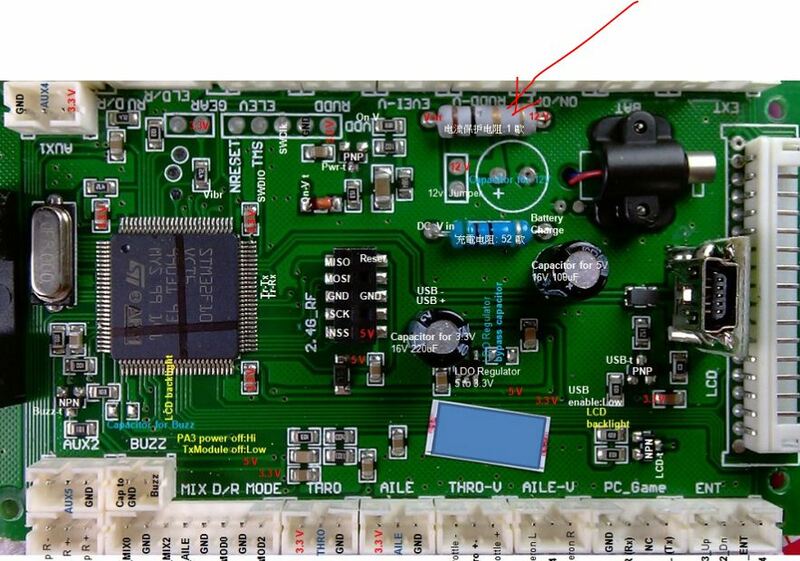 I checked on google for dead devo tx and I found 0 results...I checked with a multimeter if I have power ion the board, and it's fine, I checked the switch also working..What could I do? Bad news,my Tx was damaged too. Is the screen light up when you switch on the TX? Try disconnect the battery for a while and reconnect it again. If those method all not work,try to open the tx and check is there any connector unclasped. I mean to open the Tx and check whether the wire is loosened or not. Or is there any scorch mark on the mainbord? It is possible that your power switch failed. I've seen this a few times. The switch used by Walkera is junk. It can usually be repaired by removing it and then squeezing the tabs gently with a pair of pliers to push the backing board against the contacts. Or just replace it with another slide switch. It is also possible that the power circuit failed. I've seen this too (though never on a Devo10). If so, it is harder to fix, as you'll need to identify which Tx is blown and replace it. if the Tx works, we can sure that the switch is breakdown. 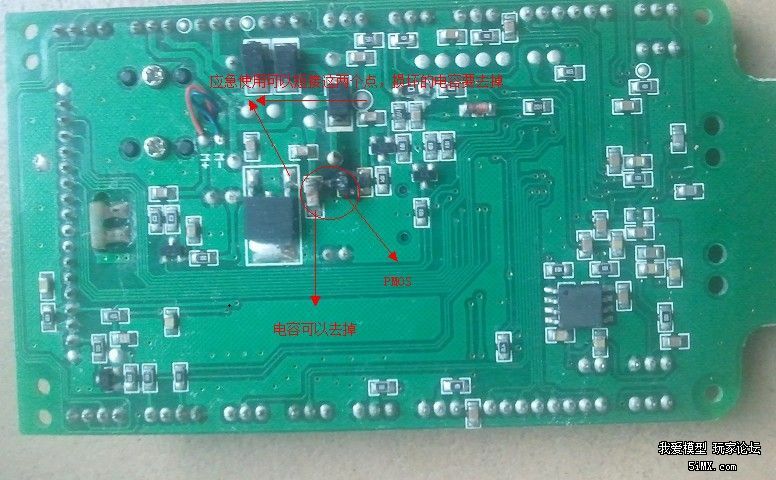 Unplug the transmitter module from the board and see if anything changes. Most likely you've blown one of the switching transistors in the power circuit. figuring out which one would require some electronics expertise as you need to know what you are looking for. Fixing it would require some SMT soldiering skills. I've documented the circuit for the Devo8, but the Devo10 one is somewhat different and I never spent any time on it, so I can't really tell you where to begin. Just wondering how could I trust another devo and spending again the 130$ when this one died after 6 months of very light use, due to time constrains...? Guess it only happened to my since I couldn"t find any other dead devo apart from my other post on hf forum. Again tx for taking your time and replying. any other ideas? My beloved RC 711 offered to give me another one at some discounted price !!! They also told me to send it to WALKERA directly !!! actually from my "luck" I couldnt find any other devo 10 dead...you can only find my post on the helifreak forum, but that's all. Somebody actually suggested to try ni-mh cellsX8 instead of my 1500mAh li-fe...? I have not heard of your situation either, but i see alot of broken power switches, short circuts, you know general walkera quaility control issues. How much does two or three cheap tx's cost? If its less than $190 go for it. I have no problem seeing and working with the devo 12s in the sun, and i live in the Bahamas. I also dont like the stylus, so i rounded the tip of one of those pot turning, mini screw driver, type tools that comes with most gyros. It clips on to the tx rear handle thingy and is easy to get at and put back, unlike the pens. If the devo 12s stands up to the test, and is a proven stable platforum for my bigger helis, i will be getting a 8s as a back up tx. Then i can retire the old, yet still solid, 2801pro. The Devo10 should be very similar. The most likely issue is that you blew out the 8550 or 8050 transistors. This happened to my Devo8. I dropped in whatever I had lying around the house and it has worked fine since. If the Vgs is different than the original, your voltage measurement on the Tx will be off slightly. There are higher resolution images out there, but these are the ones I could find quickly. As I've said repeatedly, I think Walkera's quality control is low. some of their circuit designs are marginal, and the components they used are pushed too close to the operating threshold. We've seen quite a few failures on every Tx model of different sorts. I don't personally recommend running Li batteries in Walkera transmitters (except the Devo12) without a proper voltage regulator, since the power circuit seems to be marginal, and quite sensitive to over-voltage. Lots of folks ignore me without issue of course. 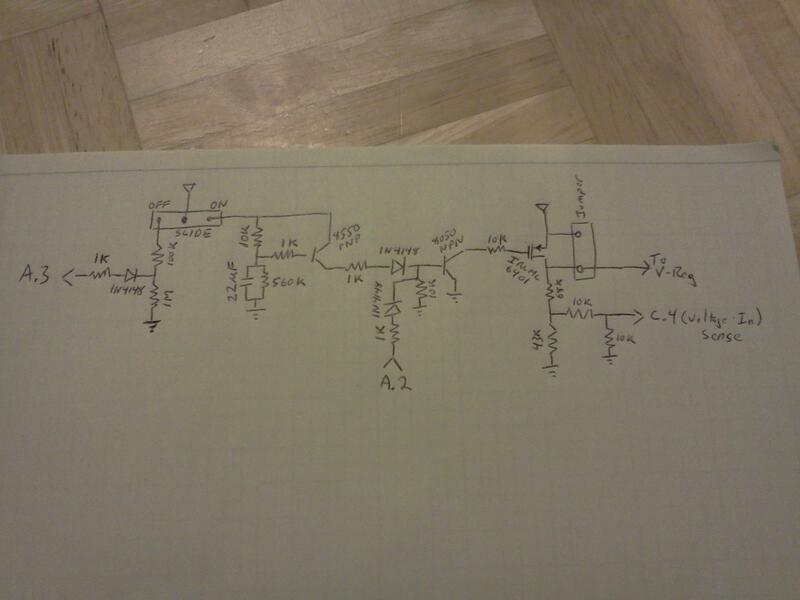 A transistor has 3 pins, that's clear, but by looking at the schematics, I cannot identify which one would be the 8550/8050 you are reffering to?